Although a simple approach, the observation of children can help develop strategies that outline positive traits and behaviours as well as highlight areas that may need improving. However, to ensure that the right strategies are instilled, it’s important to document children’s activities in the right way. A learning story is the ideal way of documenting a child’s learning journey due to many the segments involved. The different sections of a learning story help form an overview of the child’s progress and interaction as well as highlight areas that may need more work. Making notes can seem like the simplest approach, but those who work in the early learning sector run the risk of missing the finer details of a child’s progress, which over time could mean that the strategies being developed aren’t as effective as they could be. The use of notes alone can also become overwhelming in the long term. Not only can it be difficult to refer to past observations, it can also be difficult to read if other professionals are adding to the notes, especially for parents that are keen for an update in relation to their child’s progress. A learning story is made up of various segments, which when connected help paint a bigger picture of the progress made by a child, and what steps need to be taken next to help their development. The stories themselves can differ in length. The size of the story will be dependent on whether a child is being observed on a one-to-one basis, or as part of a group. Tactile notes and photographs may be manageable in the short-term, but as more observations are made and recorded, it can be difficult to manage the information moving forward. There is also a risk of information going astray, with either educators or parents having no way of recovering this information. The creation of a learning story is much easier when taking advantage of what technology has to offer. For example, Kindyhub is an online tool that helps connect parents and early learning centres with ease. Centres can upload the various stories created and allow parents to view the information in real-time, so adjustments can also be made at home if needed. Parents can also share at home learning experiences with their child’s educators via Kindyhub, which helps educators and parents collaborate to improve each child’s overall learning potential. The storytelling element is carried out by the observer t following an observation. For example, there could be a short paragraph that details what the child was doing, such as visiting a farm. The educator t can then add notes that detail the learning the child has made during the activity, such as learning the history of an animal or becoming immersive with the inner workings of the farm. However, employing the use of an online platform such as Kindyhub can ensure that all information is recorded, organised and can be referred to at any time by parents and learning centres. Those looking to instil the use of learning stories for the first time may be confused as to what subjects should be covered. The truth is that each centre, parent or educator will have their own needs and requirements. Fortunately, the art of creating learning stories means that the approach can be tailored to different activities. The following is an example of how an activity can be monitored via the use of a learning story. Painting with different colours allows a child to explore their creative side while still being able to make discoveries along the way. The educators narrative could note the approach being taken, the colours being used and the goal of the child. This can also include elements added by the educator to make the learning more immersive. 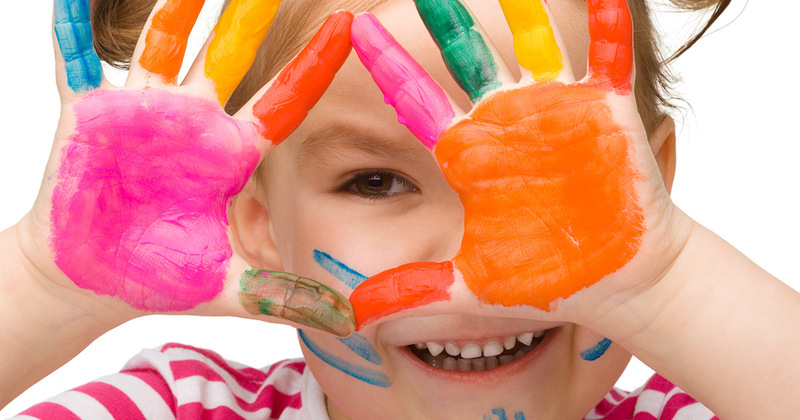 For example, children are often fascinated with how colours are created. The Learning Story can also incorporate information from the children. Did they enjoy the activity? What was their favourite part? Did they work as a part of a team or alone? All this information can be recorded using the Kindyhub platform and presented in an easy-to-understand format. Educators can also add their interpretation of the session. Did the child struggle with any elements of the activity? Was there friction present when working as a team? How did the child overcome obstacles? Although there will be many factors that make individual portfolios unique, creating a learning story is essentially about overlooking an activity, recording what the goals of the activity are, and how the child progressed and reacted to the activity. The addition of views by both educators and children allows educators to record what activities children are enjoying, as well as ensuring that any changes being made aren’t too overwhelming for the child in question. Ultimately, the overall goal of a learning story is to ensure that carers and parents have access to a child’s development, so it’s important to ensure that the stories being created are beneficial for all those involved. There will be instances where the conventional approach isn’t suitable, and the use of learning stories can be an effective way of establishing how a child interacts with others during certain activities, which in turn help structure how future sessions can be altered to suit the needs of the child. Learning stories offer a unique take on the traditional checklist in relation to learning. The storytelling format is one that can be easily understood and makes exciting reading for parents when compared to conventional reports. Kindyhub is not only able to offer parents and educators a platform to track the progress of their children, but centres are able to create their own branded parent app which encourages further engagement. Want to learn how Kindyhub can help you document Learning Stories? Book a no-obligation 30 minute demo and learn how Kindyhub will help your centre document childrens Learning Stories.